A superior labral anterior and posterior lesion, commonly known as a SLAP lesion, is an injury to the labrum, the rim of cartilage that surrounds shoulder joint. The labrum forms a cup for the arm bone to move within, increasing shoulder stability. Injury to the labrum is often caused by a repetitive motion that pulls on the biceps tendon, or an acute type of trauma such as a shoulder dislocation or a fall with the arm stretched out. In individuals over the age of 40, a SLAP lesion may be caused by the wear and tear in the superior labrum that occurs over time, as a result of the aging process. Individuals may also experience decreased strength in the shoulder when they have a SLAP lesion. SLAP lesions are typically diagnosed after a medical history is taken and a physical examination is performed. 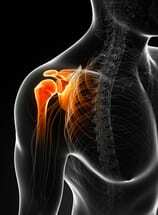 A doctor may test the strength and range of motion of the shoulder by moving the arm in different directions. Imaging tests such as X-rays and MRI scans may also be necessary to view any damage to the shoulder and the surrounding areas. After surgery, a sling may be used to keep the arm stable while the labrum heals. A physical therapy program begins after healing, and full recovery after SLAP lesion repair may take several months.